The extremist group Boko Haram has sharply increased its use of children as suicide bombers over the past year, according to a UNICEF report released Tuesday. UNICEF recorded that 44 children were involved in Boko Haram attacks in Cameroon, Chad, and Nigeria, in 2015, up from four in 2014. The increase means nearly one out of every five Boko Haram suicide bombers is a child. In addition to a rise in suicide attacks involving children, the total number of suicide bombings increased from 32 in 2014 to 151 last year. The organization indicates more than 75 percent of the children in the attacks were girls. The report comes nearly two years after 270 female students were abducted in northeast Nigeria, sparking the global campaign #BringBackOurGirls. The students are still missing. Manuel Fontaine, the UNICEF Regional Director for West and Central Africa, said in a statement the trend will have long-term consequences for the African nations. He said when children are forced to act as bombers, communities begin to see them as a threat. 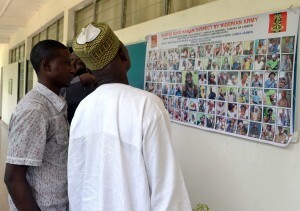 Countries in the region have recently formed a coalition to make gains against Boko Haram. But as the terror group has suffered setbacks, it has increased its use of extreme measures, including suicide attacks. In addition to suicide bombings, UNICEF noted that Boko Haram is forcing boys to attack their own families as a demonstration of their loyalty. Many of the girls captured by the group are sexually assaulted and forced to marry Boko Haram fighters. The report estimates Boko Haram has displaced 2.3 million people since May 2013. Approximately 1,800 schools have been closed due to the conflict, and more than 5,000 children have been separated from their parents.